Greatest THANK YOU Gift Ever Challenge! An Incentive to invite friends to GYIS! Greatest “Thank You” Gift Ever Challenge! The Greatest THANK YOU Gift Ever Challenge. There has never been a better time to refer a friend to Get You In Shape! 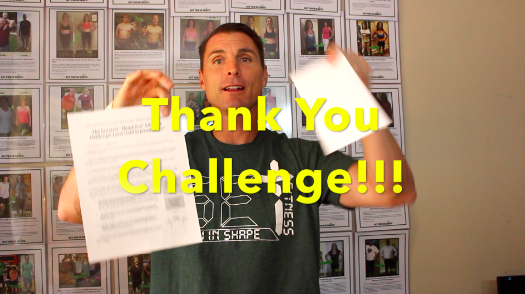 The Greatest “Thank You” Gift Ever Challenge is here and will Last Until September 22nd. Think back for a moment. Can you remember how you felt when walking up to your first Get You In Shape session? Were you fighting back feelings of nervousness? Did you feel a little anxious, or even dreading your first visit? If so, you wouldn’t be the first. It’s simply a part of the human condition to feel pre-game jitters before an event. I bring it up because I have a theory—and an offer—I want to run by you. First, the theory: What if, on your first visit, you had a friend bring you to your first class? In other words, what if a Get You In Shape client had invited you to join them in a no-pressure, fun workout? My theory is that having a friend would have gone a long way in easing any of those nervous feelings. Don’t you agree? Working out is better with friends. Which brings me to the greatest “thank you” offer we’ve ever made, and I hope you’ll take advantage of our Thank You Challenge. Because not only will you save some money; you’ll also feel great knowing you’ve helped change the course of someone’s life. What could be better? You’ll get a free month for every person—EVERY PERSON— who joins one of our program options. When you refer one person who joins, you get a month free. Refer three people you get three months free. Send six, and, well, you can do the math. Go out and get 12 people who join our program and your next year is on Get You In Shape! 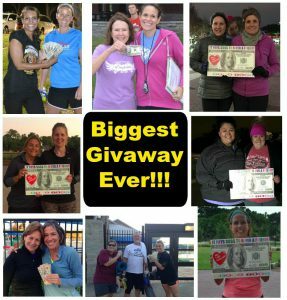 Plus, for each person who joins, you’ll get $50 in Advocare products. Again, send one member, get $50 … send three, get $150—on me! Finally, I want to reward you with one of our Get You In Shape t-shirts, sold for $20…but it’s yours FREE when you refer your first friend who joins. You’ll save some money; you’ll help a friend change their life; and you’ll help build your own fitness community of friends here at Get You In Shape. But I’m not done with my “thank you” offer just yet. You see, you’re not the only person who’ll benefit when you refer a friend. Your friend will also get a $100 Gift Card, good for any of our program options. They’ll be so surprised and delighted to learn that you blessed them with this unexpected gift, there’s no telling the impact it could have on deepening your relationship. We will provide you with your own set of $100 Gift Cards that your friends can use. They will look just like Gift Cards. You can either hand them out personally and invite your friends face-to-face to join you for a workout, or you can mail them a personal letter and include the card. Each person who reaches out to us with the $100 Gift Card will receive a free workout along with a success session (Orientation) with me to help show them the 4 keys to long term health. If you would prefer, you can provide us with a list of names and addresses of your friends, and we will take care of the cost of postage, stationery, writing the letter, and mailing for you. A complete, done-for-you project—and you’ll still get all the rewards. In addition to the other three options above, we are having a 28 Day Back To School Proram Starting August 27th where your friends can test the waters out before joining one of our program options. 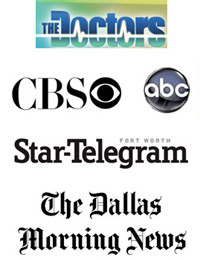 You can send them to CoppellFitness.com and just make sure they put your name as the referral! As you can see, you have as much or little involvement as you’d like in the process. And look at it like this. If you only get one person to join with you, wouldn’t it feel great to know that you have an active hand in helping change the life and health of a friend? RECAP: Until September 22nd , for every person you refer who joins one of our program options, you get a free month. Get 12 friends to join up and get a full year’s worth of free personal group training. On top of that, for every person you refer who joins, you get $50 in Advocare products. So, how much free products would you like? $50? $100? $600? I’d love to give it to you! You also get the one-time free Get You In Shape –t-shirt, valued at $20. Finally, your friend will receive a $100 gift card off any of our program options as well, and we will make sure they know it’s because of you. They’ll be delighted you gave them this unexpected gift! Any of our program options refer to someone signing up for any of our 3, 6 or 12-month commitment options. We hope you will join us and participate in our Thank You Challenge! What exactly is the Thank You Giveaway Challenge? Since we know the importance of community for long term lifestyle change. This Challenge is just an easy way to give you an incentive to invite your friends to join you at Get You In Shape. In the end, we want to help more like-minded people like you look, feel and perform better so this is a great way for us to reward you and bring in more like-minded people to our Get You In Shape community. From a business stand point, we would much rather PAY our loyal clients for helping us bring on more like-minded clients than spending money on marketing and facebook ads hoping that the right ideal client sees the ad. What Exactly will I get if someone joins Get You In Shape? 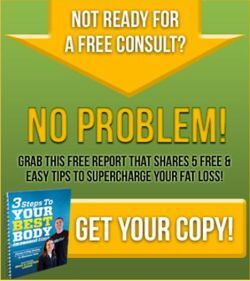 For everyone who joins one of our program options, you get a FREE MONTH and $50 of products. You also get a free t-shirt after your refer the first person. What “program options” does my friend have to join? Get You In Shape’s program options are either 3, 6 or 12 months. Any short term promotions like our 14-Day, 21-Day, 28-Day or 6 Week promotions we do throughout the year would not apply to our Thank You Giveaway Challenge. Will I still get the $100 Referral Rewards money during this Thank You Challenge? No, this Thank You Challenge will take the place of our normal $100 Referral Rewards program that we give to any client who has a friend join our program. How Long Does The Thank You Giveaway Challenge Last? It starts August 8th and will go through September 22nd so any friend you send our way from now until then count. Will we still incorporate our charity GIVING to Taylor’s Gift for this Thank You Challenge? Yes. You will be able to give 100% or have 50% apply to your membership and 50% go toward Taylor’s Gift. Have other questions? reach out to me at brad@ get you in shape .com or give us a call.